When the electric 2014 smart fortwo makes its U.S. debut this spring, it may become the country's most affordable electric car on sale. In Europe, the smart fortwo electric drive (ED, for short) costs €18,910, or just under $25,000 at current exchange rates. That puts it a good $5,000 lower than the least-expensive EV, the Mitsubishi I-MiEV. The catch: Smart drivers must lease the battery from Daimler for $85 per month. Smart isn't the only automaker trying to soften EV sticker shock. Renault offers a battery lease on its low-speed, two-passenger Twizy for $59 per month, and also plans to offer the incentive on its larger electric car, the Zoe, due this fall. But while battery leasing may lower short-term ownership costs, it's a drain for buyers wishing to keep an EV for more than five years. After that time, the smart's price advantage over the Mitsubishi crumbles (total price, including the battery, is just under $31,000). 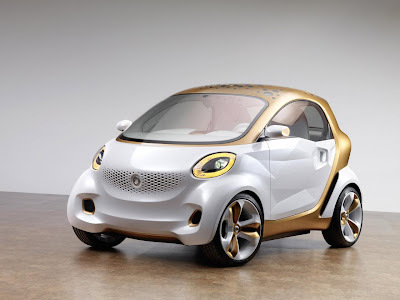 In July 2010, smart began leasing 250 ED models in the U.S., out of about 1,500 worldwide, for $599 per month. In November 2011, Daimler's car2go service brought 300 smart ED models into San Diego for hourly rentals. The next-generation car, on sale in Europe since June, will bring sorely needed performance upgrades when it arrives in 2013, including a larger 55-kilowatt motor and 17.6-kilowatt-hour battery. The current smart ED is barely highway worthy, as it requires 23 seconds to reach the maximum 60-mph speed (the 2014 model will reach 78 mph, Daimler said). A spokesman for Smart USA declined to comment on U.S. pricing or whether the company would offer a similar battery lease program. With no back seat and cramped cargo space, the smart ED needs aggressive pricing to justify its existence against larger EVs with similar range and more driver comforts. Last year, smart sold fewer than 7,000 gasoline-powered cars, less than either the all-electric Nissan Leaf or plug-in hybrid Chevrolet Volt. According to Bloomberg, Daimler says it plans to sell at least 10,000 electric fortwo models per year worldwide.